Washington State Penitentiary participates in the Correctional Industries program and employs inmates in a license plate factory, a metal shop, in a laundry operation, a recycling center, in planting and harvesting crops, and in the warehouse. Inmates are provided vocational training in heating ventilation and air conditioning, graphic design, information technology, auto body repair, carpentry and welding. Washington State Penitentiary also hosts a program that allows offenders to work with shelter dogs, teaching the animals obedience training so they can later be adopted. Visitation is based on the unit the inmate is located in. View the current visitation schedule here. 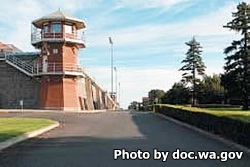 You can also view the visitor processing times for Washington State Penitentiary here. Visitation at Washington State Penitentiary occurs everyday from from 10:15am-5:30pm in the West Complex and from 10:30am-4:30pm in the East Complex. Visitors to the West Complex are processed in at 10:15am-11am, 12:30pm-1pm, and 3:45pm-4:30pm, and processed out at 12am, 1pm, 2:15pm, 3pm, and 5:30pm. The East Complex has visitor processing from 10:30am-11:15am, 1pm-1:30pm, and 3:45pm-4:30pm. IMU and IMUS processing times are 12:30pm-1pm. You can get more information about visiting inmates at Washington State Penitentiary by reading the Visitors Guidebook.